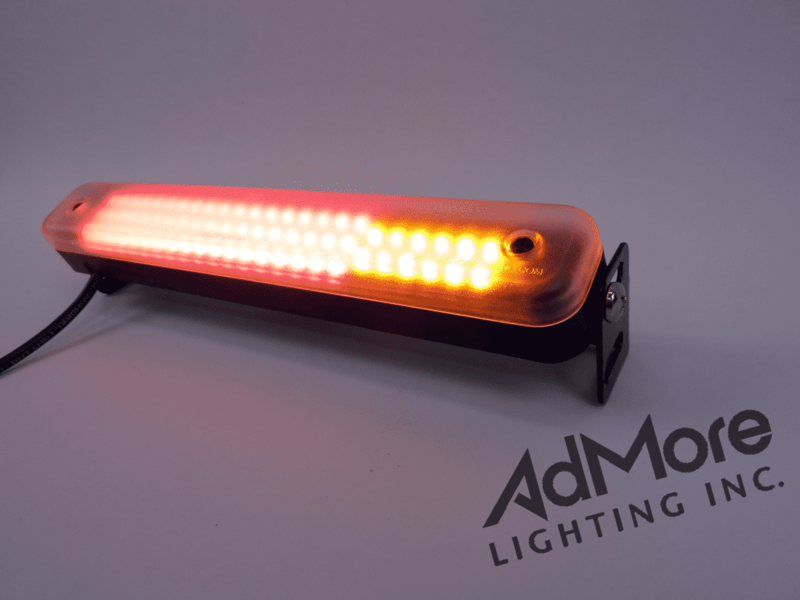 ADMORE LIGHT BAR (8") - AdMore Lighting Inc. Earn up to 645 Points. 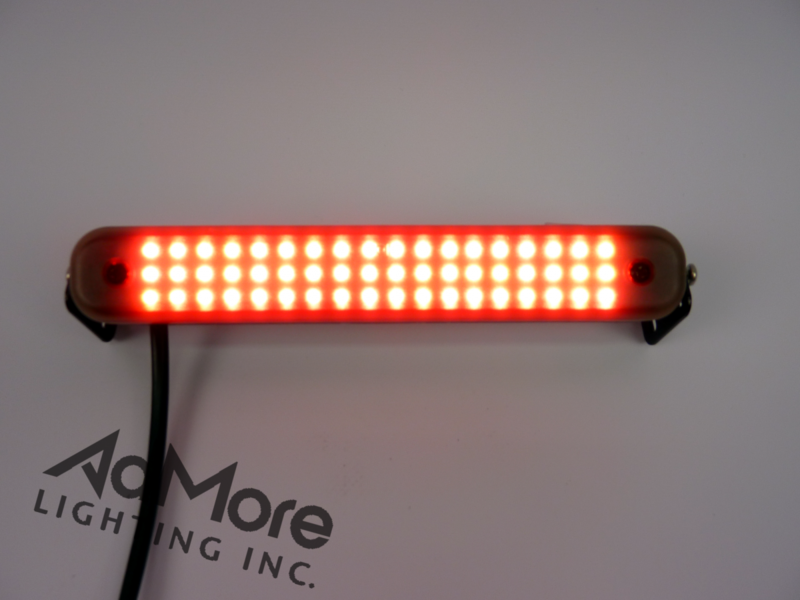 LED High-Powered SMT Light Bar with modulating brake light & progressive, amber turn signals. This Light Bar is 60% brighter than the previous version and incorporates wider viewing angle surface-mount Cree LEDs for added visibility and reliability. 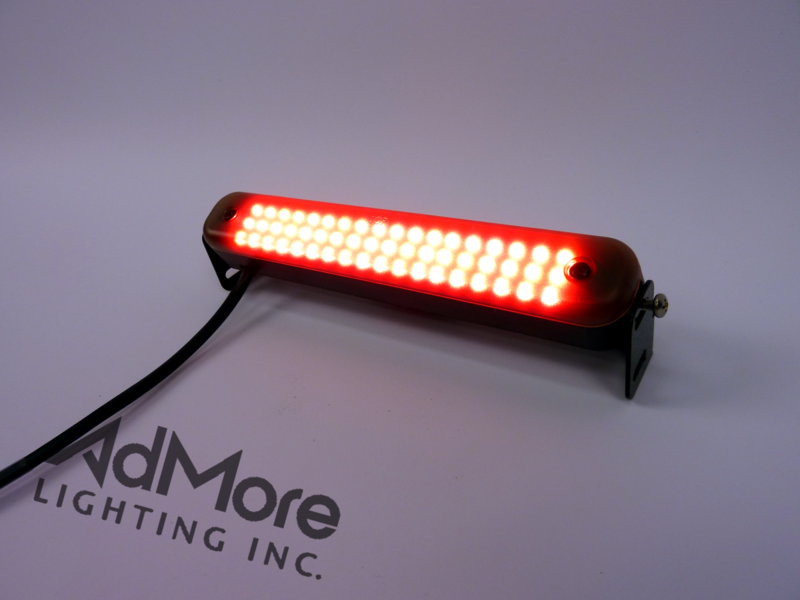 Our high-powered / low current AdMore Light Bar is perfect for motorcycle & scooter use. It enhances rider safety and looks great at the same time. It incorporates the latest in bi-color (red/amber) LED technology with 78 high-intensity, SMT LEDs to provide tail light, brake light and progressive amber turn signals. 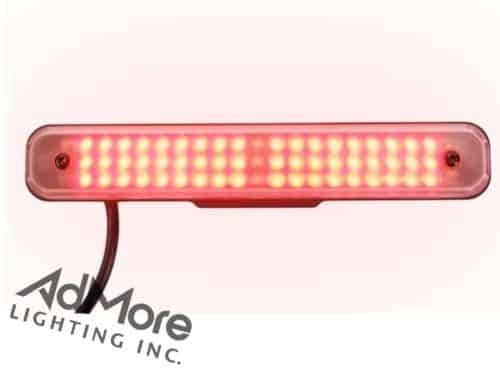 The AdMore Light Bar even incorporates a brake light modulation feature (3-4 flashes) to quickly flash the brake lights at full intensity and alert drivers behind that you are slowing down or stopping. 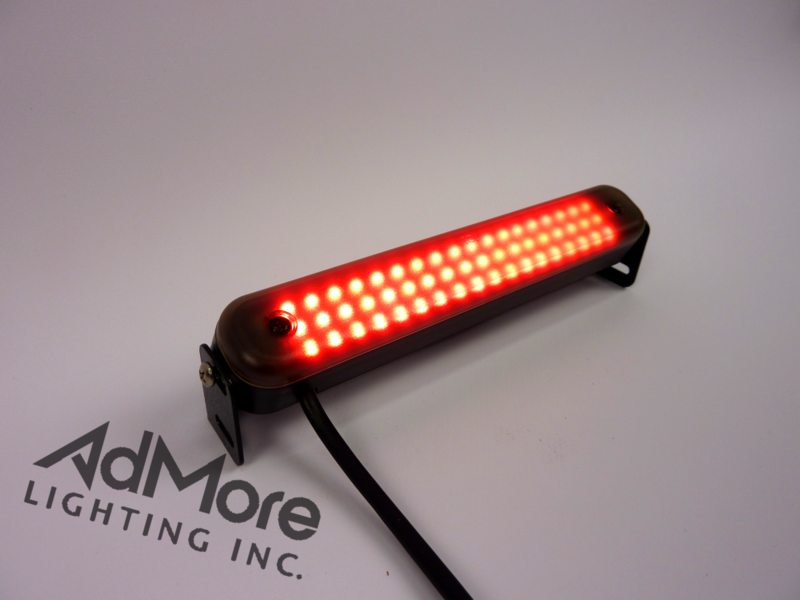 The AdMore Light Bar also includes “progressive” amber turn signals that flow in the turn direction for added visibility! Housed in a sturdy, weatherproof, black polycarbonate case with included black powder-coated, universal bracket for easy, quick and secure mounting just about anywhere on your bike! 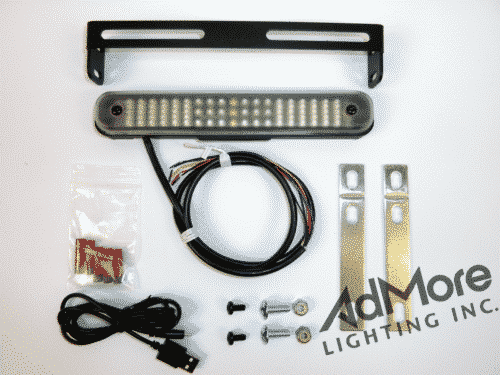 The Light Bar comes complete with everything you need for a professional installation including unique wire tap connectors and installation instructions. 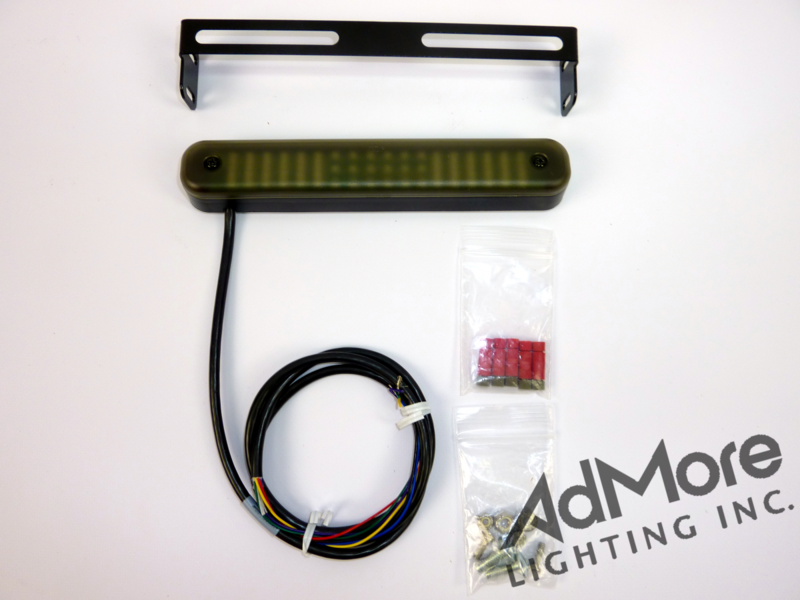 What makes the AdMore Light Bar unique? Optional smoke lens available – The smoke lens has been discontinued (06/01/17). Easy installation and it looks great. It’s much brighter and thus more noticeable than the tail light. Product works very well and installation was not overly difficult. Hardest part is identifying the correct wires on the motorcycle! Units seems to work great. Only issue that I had was that the cable was barely long enough to reach under the seat where I could splice into the bikes wiring. Decided to install your light bar after I was almost killed by a speeding car coming from the rear and obviously missed to spot me, with screeching brakes what must have been still over 100kmh. After installation, time to reflect of this product. In short, the Light Bar does what it promises. It increases rear end visibility significantly. I would buy this product again but take the liberty to add some comments. 1. The cable outlet points downward only. In my case the bar was installed underneath the number plate and the cable had to be routed upwards. That’s no problem for the installation but the cable-housing connection just uses silicon sealant. To prevent water entering the housing I had to add e more silicon sealant. Not the best professional solution IMHO, a decent watertight cable bushing would be a better solution. 2. The brake light modulation is prohibited in my country. Thanks to my curiosity and an email to AdMore, I learned the unit can be ordered with modulation deactivated. While AdMore’s email response was lighting fast, why not adding a comment in the webpage referring to this option? 3. The “moving” signal indicator in the Light Bar looks a bit odd together with the stock signal light. A “non-moving’ signal indicator would look nicer in my view. Bottom line however, a great product. Thank you guys. Very pleased with the product very bright as people tell me. 2016 FJR – the legacy small light bar fits smartly underneath the plate light, and its clear lens matches the factory rear lens. Looks like they were made for each other. Pretty straight forward installation. Mounted on vstar license plate .I have the baron chrome fender subframe license plate holder. I installed my light bar yesterday, and it went flawless. The wiring harness made it so much easier. The turn signals are a great addition too. I installed your 8 inch light bar this weekend on my 2012 Suzuki DL650A. The product looks awesome and works great. I feel safer all ready! I’m very happy with the result and anything that makes me more visible to the mostly partially -sighted drivers down here is worth every penny. Well, it took me awhile, but, I finally got all the lighting installed on the bike. I am sending you some pics of the finished bike. I appreciate our business relationship and refer you to inquiring people. With all these lights and, yes, the 3618s and the 2412s modulate with the brake along with the Mini-bar and the Original bar… I guess you can say my rear end is well covered and attention getting (my wife has a hard time believing that). The 2412s run vertically, one on each bag. The bike is a 2008 Honda VTX 1300R, well accessorized. Thanks for all you have done to help me. 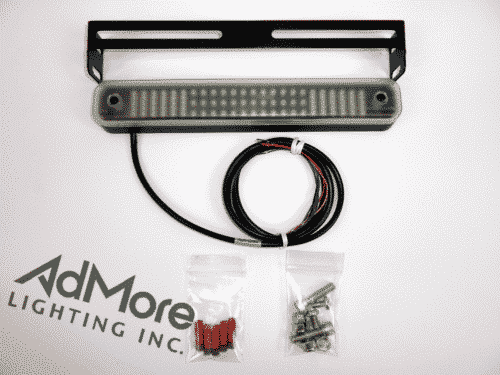 I bought the Admore flashing brake light bar at Daytona this year from you for my 2009 k1300gt. It’s great! Just wanted to thank you for a brilliant product. Finally had time to install it on Saturday and spent the last 2 days riding with more confidence. – The installation was very simple and all I needed was provided with your kit. – The kit did not impact the function of my stock lights and no remote load resistors were required; very nice change from other LED options. – And the most important thing is this product works great. I have had many comments that the improvement in visibility is amazing. The unit has performed flawlessly for about 3000 miles and I feel it was the most significant safety improvement I have ever made to any of my bikes. Thank you and keep the great products coming. Installed the Admore Light Bar on my 2009 Zuma, regular running lights and right turn signal. Love it! Thanks for a great product! Great product –installation was straight-forward and easy. Works great — I now feel very confident that my visibility (especially at night, which is half of my riding) is MUCH GREATER than before. This unit puts bright red LED lighting right in the face of the vehicles behind/beside me. 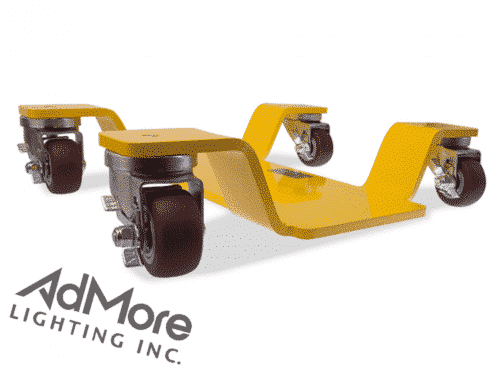 Excellent product — well done Admore!!! I purchased the Admore mini light bar and last night put it on my 2006 Honda Silverwing. It works great and with an inline electrical adapter I purchased from one of the Silverwing blogs, did not even have to remove any bodywork or cut any wires to install it. It makes me feel much safer. Thanks for a great product. I am very pleased with the mini light bar. My whole purpose of purchasing it was to be seen easier by other drivers and I do believe that this will get the job done. Just got back into motorcycles and look forward to working with you in the future. Thanks! Received my mini light bar. I must say that from the box it came in, the instructions, the quality of the product, to the ease of installation, and the special wire taps you include (never used those before) this is a first class product! I love the end result! Very very bright and unique in my country! As a Licensed Aircraft Engineer of 46 years, I feel qualified to make the following observation. The quality of this electrical product is excellent. The packaging was also very professional. The only minor criticism would be regarding the PosiTap connectors. The supplied PTA1800 were too large for the BMW. BMW wires are very small (22 SWG) I therefore substituted the supplied PTA1800 with smaller PTA2022R. That aside, the lights rock! The product installed very easy and are functioning as advertised. As a safety feature I would rank these lights up there with ABS. See and be seen at cager level! Well done AdMore Lighting for an excellent product and service. Greetings admore, light bar freshly installed on my 2004 BMW R1150GS Adventure. Fantastic product! My Micatech panniers pretty much block out the short stalk turn signals (from the side) Your light bar puts additional signal lights up where they can be seen NICE! Thanks for the fast shipping on a quality product installation was a snap! I can’t rave enough about the Light Bar (Mini) or about your customer service. It is clear that your organization takes pride in its products and its service, and you have every right to. I installed the mini on my BMW R1200 RT and it looks as if it is a factory item. Furthermore, it adds significantly to the visibility of the motorcycle (for some reason, I’m obsessed with being visible in Boston) and it has been commented upon favorably by both riders and car / truck drivers. 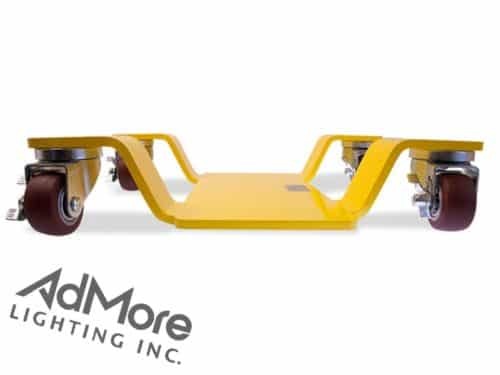 I highly recommend the product and I have encouraged the BMW dealer in Boston to offer the Admore products in their parts department. Many thanks for the great product and for standing behind it! P.S. For those of you in the Boston area, I encourage you to visit Krankitup in Medford if you are considering adding aftermarket electrical items; they are perfectionists, but reasonably priced. Thank You for a great product and excellent Customer support. The mini light bar works perfectly…even exceeds my expectations! It is way brighter than I had expected. A great design and superb product. No probs with the delay – you must be busy making and sending out all the gear……and dealing with half-wits! The Bar arrived this morning and is now successfully fitted and working beautifully. I did take even more care this time, taping bare wires until just before connection. Thank you for your generosity and patience. I’ve made further posts on Silverwing600 which I hope you will have time to read at some point. Other members there have been watching with interest and feel confident to buy and attach the Bars to their Silverwings. When I first installed my mini light bar, there was one led that was out, and I was disappointed, and I thought of contacting you to return it, but later, it came on, and the light works perfectly…even exceeds my expectations! It is way brighter than I had expected. A great design, and superb product! Thank you again for a fine product and all of your great service! Got the new light bar… Works like a champ! The RMA’d unit is en route back to you. I really want to thank you for the GREAT response dealing with this… Customer goodwill goes a long way and I’ll be sure to recommend you and your products whenever possible. Oh, and I love the lights!!! The light bar is especially trick! Your product is fabulous! I especially like how the turn signals are progressive and don’t just “blink”. Installation was easy. Thanks a lot. I wanted to give a customer testimonial on the two AdMoreLighting products I have installed on my new 2009 Kawasaki Concours 14. I have a Givi E470 top case installed on my bike so I ordered both the LED470-T-TS and an AdMore Lite Bar. I did some “customization” of the lite bar power-coated bracket, but other than that, the product was easy to install, and by taking my time and thoroughly planning the routing of the conductors for both kits, the installation was neat and clean. I want to commend you and AdMoreLighting on prompt return of my call for tech support (which it turned out I didn’t need) and the friendly and helpful follow-up on a second call. This kind of customer service will ensure your company’s success and I commend you for taking a great and positive interest in your business and in your customer – namely, me. I will do business with AdMoreLighting again – you can count on it! 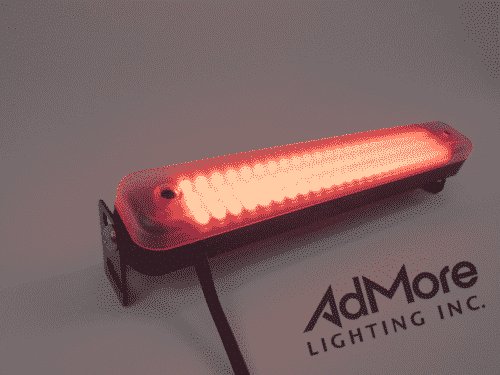 The AdMore Lite Bar installed beautifully. It seriously looks as if my luggage rack was built specifically for the Lite Bar, or vice versa. It fits perfectly and looks factory installed! Thanks for another great product!